Increasingly, the issues facing beekeeping are complex and far reaching. The OBA’s advocacy and leadership role is critical to advancing the mission and vision of the organization. This section will provide information on OBA advocacy activities, positions, resolutions and partnerships to give members an insight into the strategies employed to protect and further the interests of beekeepers and the beekeeping industry as a whole. Each year the President of the Board of the OBA submits a report to the membership at the Annual General Meeting detailing action and progress. The OBA’s advocacy role involves early identification, analysis and strategic response toward resolution. This section will provide position statements on key issues of concern to members. Not all issues will be detailed here, as some will be early in the analytical process, involve sensitive negotiations, or require confidentiality, but the OBA is committed to keeping members apprised of their positions and strategies as they unfold. OBA resolutions can come from board decisions or from members at the Annual General Meeting. This section provides guidelines for submission of a resolution for consideration as well as a list of resolutions approved by the membership. 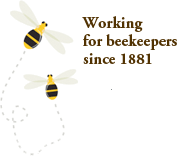 The Ontario Beekeepers’ Association is working hard to protect our bees from the impact of neonicotinoid and other pesticides, diseases and habitat loss and to support bee-positive public policies, but we need your help. Your donations help our volunteer board and committee members advocate on behalf of bees and wild pollinators with government, the media and stakeholders. And, when necessary, we use BeeCause donations to retain the services of bee-aware government relations consultants to advance our position and message, to ensure it’s being heard by those who can make policy and regulatory changes. Although we are a small not-for-profit, we’ve had a mighty impact! Largely due to our work, Ontario became the first jurisdiction in North America to introduce restrictions on the use of bee-killing neonicotinoid pesticides. However, new classes of pesticides are introduced regularly, and bees and wild pollinators continue to deal with a complex array of issues that threaten their very survival. BeeCause your donations, small or large, help us to continue to advocate on behalf of all pollinators must continue….